Steven D. Green holds a B.S. in Aviation from Louisiana Tech University, He also holds an Airline Transport Pilot license from the FAA with type ratings for the Boeing 767, 757, MD-80 and the Fairchild SA-227, as well as a Flight Engineer license with a turbojet limitation. He has flown professionally for 35 years, operating at all levels of the industry including Part 135 commuter operations, Part 121 supplemental operations and Part 121 flag operations. Beginning in 1986, he has participated in numerous aircraft accident inquiries and investigations as a representitive of the Air Line Pilots Association including TWA 800, TWA 843, Business Express N811BA, Simmons 4184, Comair 3272, AVAir 3378 and AVAir 3464. He received his formal accident investigation training from the Transportation Safety Institute in Oklahoma City in 1993. For two years, he taught two segments of the Air Line Pilots Association’s Basic Accident Investigator Course. He also participated in the FAA Commercial Airplane Certification Process Study in 2001-2002, and wrote several segments of the final report. Association with the 1994 Roselawn acident involving Simmons 4184 led to work with ALPA’s Inflight Icing Certification Project, which included participation on the Ice Protection Harmonization Working Group ARAC. Since 1994, he has been actively involved with icing issues, and has written a number of papers on the topic and delivered several oral presentations. Since 2004, he has actively consulted for both NASA and the FAA on the subject of airframe icing. 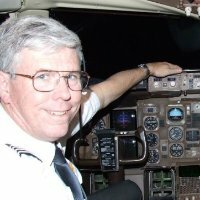 He is currently an MD-80 captain.